Today, my guest is Alison Morton, who I've known for a number of years. Alison worked with me on promoting the Historical Novel Society ("HNS") conference in Oxford 2016, which was a lot of fun, and we often catch up at HNS and Romantic Novelists' Association events. 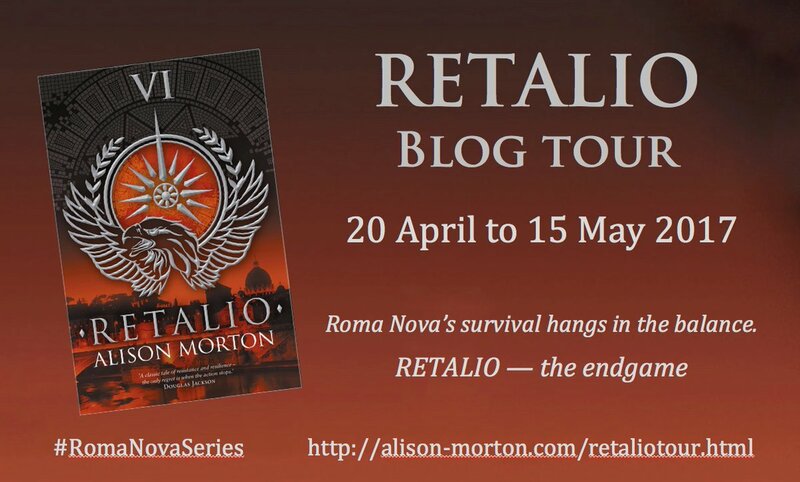 Alison is author of the popular and beautifully marketed Roma Nova Series, and this post is part of the blog tour for RETALIO, which will be released on 27 April 2017. Find other posts in the blog tour here. There seems to be a trend for book series at the moment, and I know from pitching as a writer at conferences that many agents and publishers are looking for them. Alison has written a really helpful post with tips on how to market a series below. Thank you, and over to you, Alison! When I wrote my first book, I was thrilled I had completed it. Holding the shiny covered paperback in my hands in March 2013 was a never to be forgotten moment. The second book was in the pipeline and came out seven months later with the third one the following June. But Books Two and Three weren’t quite the obvious success that the first book was (and continues to be). Now the sixth is about to come out and I’ve learnt some new lessons since Book Three. Firstly, readers like to read more about the same characters and places. Finding out what’s happened to familiar friends, if the pesky villains have been threatening them or their lover is still faithful, without having to learn a new world draws readers straight into the story. Secondly, readers care more about finding and sticking with a good author and a well-written series than in getting everything cheap. A series should feature recurring elements. Some focus on the same setting and at least some of the same characters. Other series centre round an object or particular place, e.g. through the ages, others on inter-connected families. Familiarity and availability of ‘more’ are the two selling points. Make it easy for a new reader. Firstly, ensure your books can be read as standalones, i.e. that each story is properly resolved and does not end on a cliffhanger. I have thrown my Kindle on the floor for less. Secondly, consider a second entry point for readers. For example, my Roma Nova series consists (so far) of two trilogies, one set in the ‘present’ and one in the late 1960s to early 1980s. New readers can start the series at Book 4, read Books 5 and 6 then happily go back to Books 1-3. You really need three books as a minimum when you switch to series marketing. Of course, all the books should be edited, proof-read, well designed inside and correctly formatted. Use a professional designer to ensure covers are stunning and carry elements that link them, such as fonts, a logo, style, recurring motif. This gives your books a brand, an identity that readers can spot instantly. Each book then reinforces the visibility of the others in the series. If your series books don’t have such visual links, I strongly recommend new covers. Publish your books on as many platforms as possible at home and abroad: Amazon, iBooks, Kobo and B&N Nook at a minimum for ebooks and Lightning Source (via Ingram Spark) and Create Space (Amazon) for print. Now, if you are at the three book stage, you will have already developed your own website/blogsite/blog and set up a Facebook page from your Facebook personal profile. (More on this here. Anita: thanks for mentioning my post, Alison!). And of course a Twitter account! By now you will probably have started a mailing list of subscribers (with their consent!) who agree to receive either regular newsletter or purely notifications of new books. I write a monthly newsletter to keep reader interest and also post mailing list only offers (subscribe here). Regular contact gives an author direct access to interested readers who will be a receptive audience to the next book in the series. Consider allocating a marketing budget, however modest. While you can do a lot for free, the day will come when you need to boost a post on your Facebook page, enter paid promotions, or pay for advertising or some PR/marketing help. In the run up to publication day reveal the cover and blurb, tell people on your own blog/website and social media where the book is on pre-order (with links). If you have a newsletter, it’s better to tell your loyal subscribers first! Logic tells us a reader won’t purchase the latest novel in a multi-book series without reading the previous novels. You need to sell the entire series. A good tactic is to sell as many copies of the earlier books as you can in the run-up to release week, to refresh interest in the whole series. Hopefully, you will have already blogged earlier about your characters, what they eat, drink and wear, their values, aspirations, faults and about any context, such as historical, as well as the setting, all focusing on the unique nature of your series and its themes. Now is the time to step this up, emphasising the continuity as well as hinting at new developments in the forthcoming book. 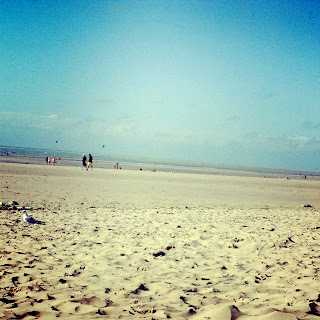 In the ten days before launch day, I blog every day with snippets about Roma Nova, the book background and the characters. Exhausting, yes, but it reinforces your book’s world and series brand. Oh, and do make sure you have a series hashtag. It’s worth spending a while developing this as it has to last. Check for any unfortunate coincidences, TV programmes, political connotations and keep it clear and direct. I started with #RomaNova and wondered why I was getting a lot of Russian interest. I changed it to #RomaNovaSeries! Seeing ten reviews in the first week not only brings happiness to the author’s heart, it prompts Amazon to give your latest book some attention, i.e. it features it on their email to subscribers. You may then see sales of your earlier books as new readers will go and look for them. So gather some reliable friends, bloggers, mailing list subscribers, those who follow you on Facebook or your blog and offer a free advance copy. You can’t make a review a condition of receiving the advance copy, but you can strongly hint! It’s wise to have built up a ‘street team’ of readers beforehand. 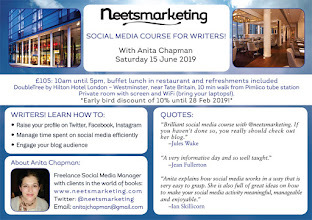 Approach bloggers with an offer of an advance copy for review and also offer to write a guest post or answer an interview. Bloggers become very busy, so it’s wise to set this up as early as possible. If you’ve had previous books reviewed or mentioned by them then this is the time to renew that relationship! If you have three books and you’re selling your fourth, make the first three into a box set and sell at a promotional price. This will make life easy for a reader new to the series, and who doesn’t like a bargain? Another tactic is to reduce the previous book by say 50% the week/10 days before the new book comes out. 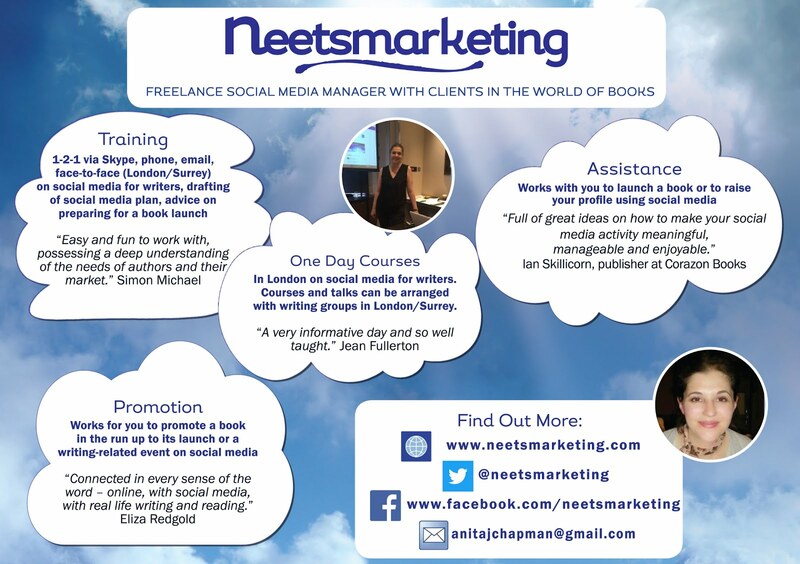 And let people know via social media, a boost on your Facebook page, Twitter and a free promotional service advert. To keep the momentum going, it’s a good idea to promote via a few paid services such as BargainBooksy, BookSends, eReader News Today, Robin Reads, and (for sci-fi/fantasy) Book Barbarian. I couldn’t reconcile myself with offering one of my precious babies for free until I had published my fifth book. INCEPTIO was the book of my heart, but less emotionally as Book 1 it was my series starter. In hard terms, it was a product that could be used as a loss leader. 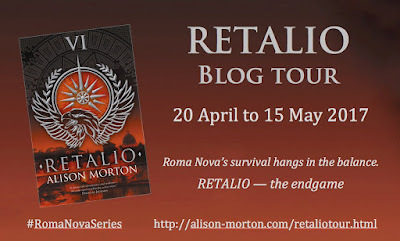 I use INCEPTIO as the gift for people who sign up to my Roma Nova newsletter (which I hope is interesting in its own right!) and if I do any joint promotions with other authors. But it still sells on the retail sites and at a competitive price. This is the ‘hook book’ for the series and prompts readers to investigate the next, and hopefully the next…. Anita: Thanks for a really generous and informative post, Alison, which I know will be helpful to many authors. Best of luck with the launch for RETALIO! 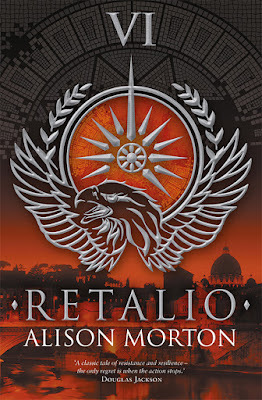 Alison Morton, writes the acclaimed Roma Nova thriller series featuring modern Praetorian heroines. 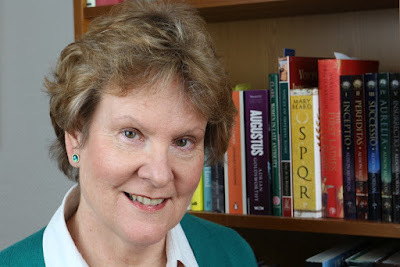 She blends her deep love of Roman history with six years’ military service and a life of reading crime, adventure and thriller fiction. The first five books have been awarded the BRAG Medallion. SUCCESSIO, AURELIA and INSURRECTIO were selected as Historical Novel Society’s Indie Editor’s Choices. AURELIA was a finalist in the 2016 HNS Indie Award. The sixth, RETALIO, is due out on 27 April 2017.